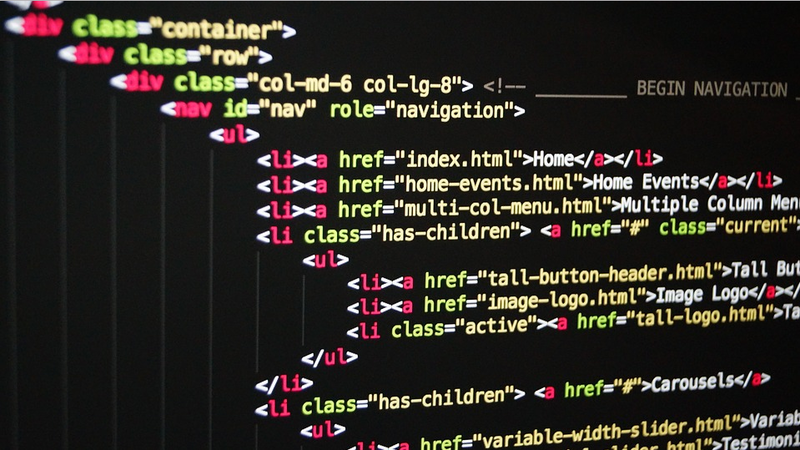 Why you should learn HTML, and how to get started. There is no limit to the talent you can utilise in computer programming. Why should you learn HTML? Over the past 25 years, the Internet has exploded faster than any technology in recent memory. In the 1990's, the Internet was a small thing, used exclusively by tech-savvy people for niche interests, neither accessible nor interesting to the general public. However, since then, the Internet has become, frighteningly quickly, a fixture in our everyday lives. In 2016, our society is dependent on the Internet in order to function. We use the internet to complete our government census, to update our electoral roll information, to entertain us, and to educate us. Millions of people use the internet every day, reliant on it for games, organisations, tertiary education, and their jobs. And yet, outside of web developers, few people know the basic language of the internet. Without paying for an expensive webmaster, most people are unable to create their own websites without using a sharply limited hosting system. While HTML can be as powerful and complex as you want it to be, HTML is far more accessible than other programming languages. HTML operates on a system of tags used in internet forums in the 90's and 00's. If you're familiar with BBCode, you've used HTML. HTML doesn't have to use the complex features of most programming languages. HTML does not require the creation of a program from scratch, with every rule painstakingly defined. HTML is simply a way of displaying text, images, and other website elements in a way that your browser can understand and deliver. It's just that easy! There are a few rules, but you could be writing simple pages like this one within a day. Anyone can learn HTML, using one of the free resources below. W3Schools - Includes many exercises. Good for those who want to learn hands-on. Codecademy - A good first resource. Easy and presented in bite-sized pieces. Odin Project - Tremendously detailed. HTML is only the beginning. Learn JS, Ruby, and more. My personal recommendation is to start with Codecademy, then dive into W3Schools or Odin when you feel ready. There's a wide world of web development out there. Feel free to explore!